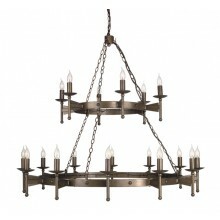 This product is a unique and interesting eight light chandelier. 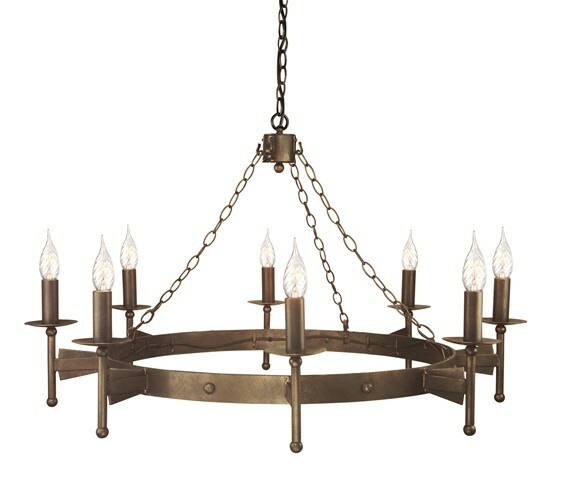 It uses eight candle style lights, each with a maximum wattage of 60w, to light up a room and give it a spark of personality and serious character. 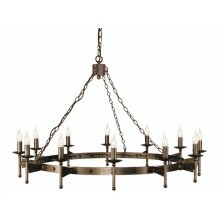 The design of this product is reminiscent of the medeival period, consisting of a simple ring from which the eight candles extend. 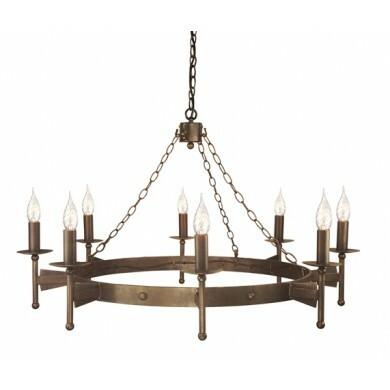 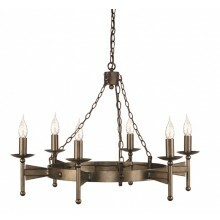 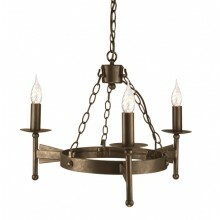 The entire fixture is set in an old bronze finish and suspended from a ceiling mount by a series of chains. 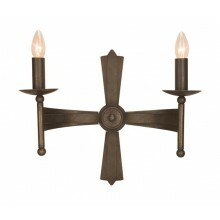 This light could aptly fit a wide variety of styles of decor, from informal to semiformal settings. 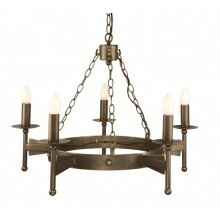 It is sure to win you compliments from your guests!